As Give Back Yoga’s Mat Grant Coordinator, Christine Moore helps to fuel the organization’s mission of sharing yoga with those who can benefit most. Christine’s own commitment to making yoga accessible to everyone made her a natural fit for the GBYF team. Her interest in yoga service was sparked while her son was deployed to Afghanistan. As a way of giving back and discovering more about what to expect when he returned, she started teaching yoga at the Denver VA Hospital, where she led classes for 1 ½ years. Teaching veterans was an unexpectedly fulfilling experience for Christine, and it became her favorite time of the week. It also inspired her interest in other underserved communities. 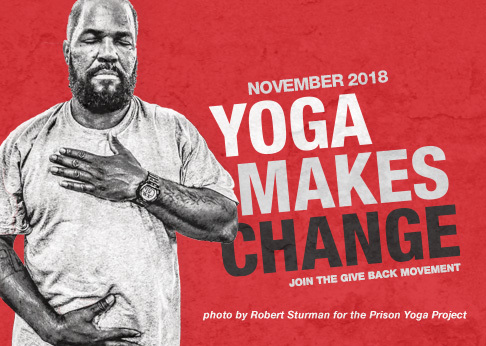 Expanding her education, Christine participated in the Mindful Yoga Therapy and Prison Yoga Project trainings sponsored by Give Back Yoga. In 2011, she began studying with Matthew Sanford and attended an adaptive yoga teacher training with Liza Morgan. Christine currently teaches yoga at the Boulder County Jail, and adaptive yoga at Imagines, Next Step Group Home. As well as being a Registered Yoga Teacher and the Outreach Coordinator for Yoga Impact Boulder, Christine has been a teacher of dance for 20 years. She is the director and choreographer of The Figure 8’s Belly Dance Troupe. Along with a passion for healing through movement, Christine is also a writer. She has two published articles in the Shakti Yogi Journal, and is a frequent blogger. Christine’s dance and yoga students inspire her endlessly and teach her how to move through life with more appreciation, grace and joy. Connect with Christine to enjoy her blogs and find out more about her yoga and dance journey, as well as information about classes, privates, and workshops.